The following overview was written in connection with a Middle East Forum conference, "Qatar: U.S. Ally or Global Menace," taking place in Washington, D.C. on Feb. 6, 2019. To watch it live-streamed, click here. The Qataris are masters of hedging. We see Doha's caution most clearly in the face of the Saudi and Emirati-led blockade, to which Qatari leaders have responded by both focusing on better relations with Iran and Turkey, while simultaneously investing lots of time and money to keep close relations with the United States. Hedging is not only confined to Qatar's geo-political plays; it also guides Doha's relationships and influence with Muslim communities abroad, Islamist movements, and terrorist groups. Qatar is only one of two countries in the world that subscribes to the Wahhabi current within Islam. Doha does not, however, only support Wahhabi Muslims; it is also a prominent backer of Muslim Brotherhood networks and other Salafi movements around the world. For these various strains of Islamism, Qatar provides the patronage of a state-controlled charity. The Muslim Brotherhood is served by Qatar Charity, while the Salafists have the Sheikh Eid al-Thani Charitable Association, also known as the Eid Charity. Both Qatar Charity and the Eid Charity are very active across Asia, Africa and Europe. For its European operations, Qatar Charity set up its own organization in London in March 2012. Qatar Charity UK (QCUK) listed its first board members as Yousef al-Kuwari, the CEO of the Qatar Charity in Doha, along with the American-educated Yousef al-Hammadi, an executive at Qatari Diar – part of the Qatar Sovereign Wealth Fund structure. After establishing an office in London, the Qatar Charity quickly expanded its activities to other parts of Europe, including France, Belgium and Italy. It began to support Muslim Brotherhood organizations in Europe that were members of the Federation of Islamic Organisations in Europe (FIOE), the Muslim Brotherhood umbrella organization. Recently, Qatar Charity UK also started operations in the United States, where it is funding the building of the Memphis Islamic Centre in Tennessee, which is led by the prominent American Salafi cleric Yasir Qadhi. As QCUK embraced larger projects – particularly the financing of the building of Islamic Centers in European countries -- scrutiny of its activities grew. Consequently, boardmembers were replaced, possibly to give the organization less of a Qatari feel. Its name was even changed in 2017 to Nectar Trust Ltd. The parent organization in Doha works closely with the spiritual leader of the Muslim Brotherhood, Sheikh Youssef al-Qaradawi, and his various Doha-based organizations. The Qatar Charity also works with outspoken critics of the Saudi government. The Saudi Islamist cleric and scholar Salman al-Awda, for example, not only served as a member of Qaradawi's International Union of Muslim Scholars (IUMS) but was also appointed to manage a prominent Qatar Charity project. The more Salafi-minded Eid Charity, meanwhile, has mostly been active in Asia and Africa, but recently there has been a noticeable uptick in its activities in Europe. The charity was founded by Abd al-Rahman al-Nuaimi, who in 2013 was designated as a Specially Designated Global Terrorist (SDGT) for funding al-Qaeda in both Iraq and Syria. In Europe, the Eid Charity cooperates closely with Salafi organizations in Sweden, Germany, the Netherlands and Kosovo; and in recent years, it has started its own projects in Kosovo, Albania, Germany and the Netherlands – spreading its radical, Islamist message throughout Europe. The Muslim Ummah has been subjected to vicious aggression at the hands of the forces of tyranny and oppression, especially the Zionists and the American administration led by right-wing extremists, that are working to expand their control over nations and peoples, loot their resources, to destroy their will, and to change their educational curricula and social systems. Another section calls on Muslims "to repel the aggression of our enemies with all possible legitimate means." 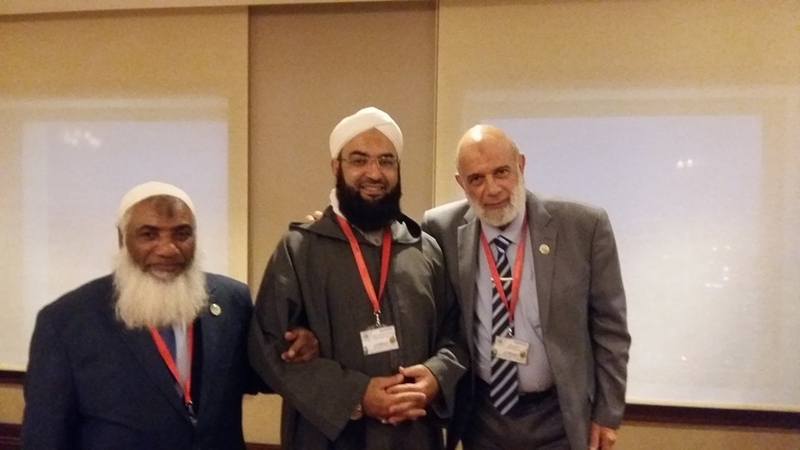 In 2005, another GAAC conference was held and attended by the world's leading Islamist figures. Muslim Brotherhood and Salafi scholars, activists and jihadis discussed strategies, financing and facilitation for extremists in Iraq, Syria and Gaza. Qatar funds and coordinates the activities of GAAC, while Turkey now offers Istanbul as a venue for the annual Islamist convention. In fact, Yasin Aktay, a personal advisor to Turkish President Erdogan, is the point man for GAAC and the Muslim Brotherhood. 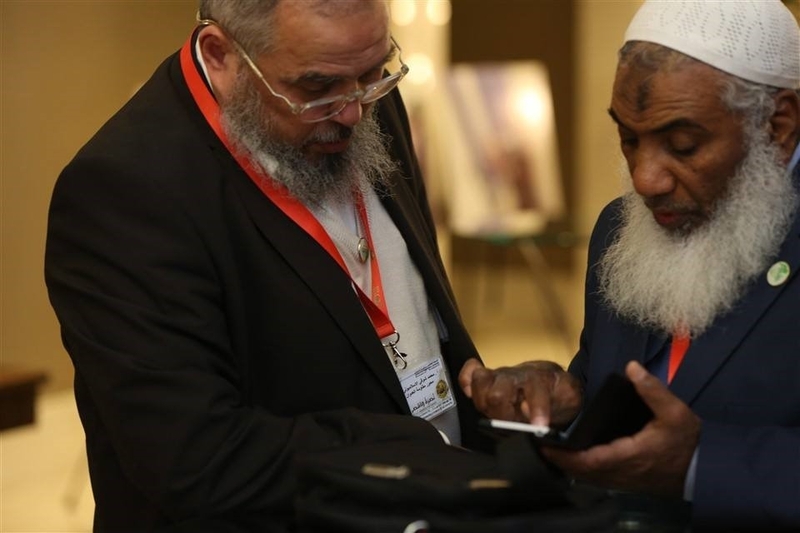 The February 2016 conference organized by GAAC in Istanbul was titled the International Conference in Support of al-Aqsa. It drew a large crowd of Salafi activists, including jihadists. Pictures from the conference show that Ahmed Rifa'i Taha and Mohamed al-Islambouli were present and official participants. Ahmed Rifa'i Taha was one of the original signatories of the 1998 statement by the "World Islamic Front for Jihad Against Jews and Crusaders," in which Osama bin Laden declared war on the West. Mohamed al-Islambouli, meanwhile, is a longtime associate of Bin Laden and al-Qaeda and is a seasoned Egyptian jihadi. Other participants with longstanding jihadi credentials included Wagdi Ghoneim, an anti-Semitic preacher tied to Bin Laden; and the cleric Hassan bin Ali Al-Sharif al-Kettani, a leader in the Moroccan Salafi-jihadist movement and a trustee of GAAC who was imprisoned in connection with the 2003 Casablanca bombings, before being pardoned in 2011. Islambouli (left, on chair); Taha (third from right with white cap) listening to Wagdi Ghoneim. Islambouli and Taha at the GAAC Conference. Soon after the 2016 GAAC conference, newly-uncovered information about al-Islambouli and Taha indicated that both had become deeply involved in jihadi operations in Idlib province in Syria. Both Taha and al-Islambouli assumed operational leadership positions in the Khorassan Group, which is linked directly to Al Qaeda. Just before Rifa'i Taha was hit and killed by a drone attack on April 5, 2016, it was reported that he and al-Islambouli were working to unite the two jihadist groups, Ahrar al-Sham and al-Nusra. Both al-Nusra and Ahrar al-Sham, along with individuals closely associated with both organizations, were reported to have received large donations from Qatari individuals. Al-Qaeda operatives have also directly enjoyed support from prominent Qatari figures. There is evidence that a former Qatari minister of the interior invited the leading Al Qaeda operative Khalid Sheikh Mohammed (KSM) in the mid-1990s to move from Bosnia, where KSM was fighting, to come live in Qatar. KSM accepted this offer, moved to Qatar and lived there a couple of years before he was tipped off by the Qataris that the Americans were seeking his arrest. KSM left the country on a Qatari passport to Pakistan. Today, the family of Osama bin Laden live in Qatar. The 'Bin Laden Villa' in Doha houses most of the women and children of the deceased al-Qaeda founder. Exerting influence over Muslim communities in the West, meanwhile, is a key element of Qatari soft power. Recently in London, members of the Muslim Brotherhood held pro-Qatar rallies in front of the Qatari embassy in protest of the Saudi-led blockade. As Qatar is a serious funder of the Muslim Brotherhood in continental Europe too, we can expect more support for Qatar from nonviolent Western Islamist movements as the boycott perseveres. On the other end of the spectrum, Qatar will keep funding and supporting violent Islamist causes as well. Hamas is still being supported and funded by Qatar, as are militias in Syria linked to the Muslim Brotherhood and even al-Qaeda. In Libya, Qatar is still involved in supporting certain armed groups, and it is also now becoming more active in Somalia. Qatar's objectives have long been to further Qatar's influence abroad, from supporting non-violent Islamists in the West, to jihadists in the East. Ronald Sandee is co-founder of Blue Water Intelligence and a former counter-terrorism analyst for the Dutch government.